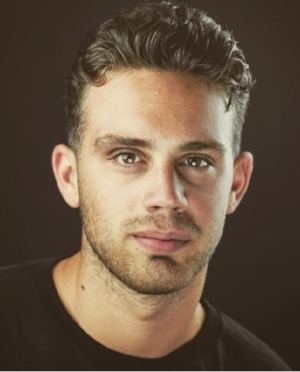 Derek Henriksen is pursuing his passion for acting with professional training in New York. He already has film projects and regional theater credits to his name. In this interview, Derek explains his mix of rote memorization and understanding of character that helps him learn his roles. Brent: What are some techniques you use to memorize your lines? Derek: I use many different techniques to memorize lines. One is writing them out in my own handwriting so I can recognize the words better. Brent: I hear that from a number of actors like Kelley Curran and Philip Boykin. Writing the words out stimulates muscle memory. Plus, seeing them on the page creates visual memory. You’re actively storing the lines in different parts of your brain—especially if you do it repeatedly. Derek: Yeah, a lot of repetition. But I’d say my most effective method for me would be learning the other characters’ lines in the scenes so I can fully understand what the conversation is about. That helps me find my objective in the scene. Brent: Right, it’s important to know your character, his relationship with the other characters, and what he wants from them. Actor Jake Epstein told me that when dialogue was awkward or not believable, that made it hard to memorize. You also need to listen actively to the other characters. Derek: I always feel that with acting you are reacting to the other actors’ words. Brent: Indeed, and to keep it fresh and believable, you have to behave as if it you were hearing them for the first time. Derek: Remembering lines is very difficult, but I feel that if you really understand what is going on in the scene, it is easier to remember. Brent: Very true. On another subject, have you ever blanked on a line or been in a scene with an actor who has? Derek: I have had instances when either I was unsure or the other character was. Sometimes some of my coaches told me just to plow through it and not lose yourself. Brent: How did you get back on track? Derek: I go back and just repeat the last word before the forgotten line, and it usually helps to get back on track. Brent: What else would you like my readers to know about how you get into character? Derek: Everyone has their own method of getting into character whether it’s method acting or their own style. Sometimes I try to find a song that I think the character may listen to and read my lines to the song. Brent: A great strategy! Actress Bree Elrod told me that she creates mix tapes of music that immerses her in the character’s world, so you’re in excellent company. Derek: Ultimately, you want to be able to try to live in that person’s shoes and understand what circumstances and personal struggles they are going through. You want to try to become that character without losing yourself in the process. I feel like I’m better at mimicking their voice, how they walk, and even how they eat. Brent: Thanks for sharing your insights with me, Derek. I wish you success in your career. You are already doing all the things that award-winning actors do!